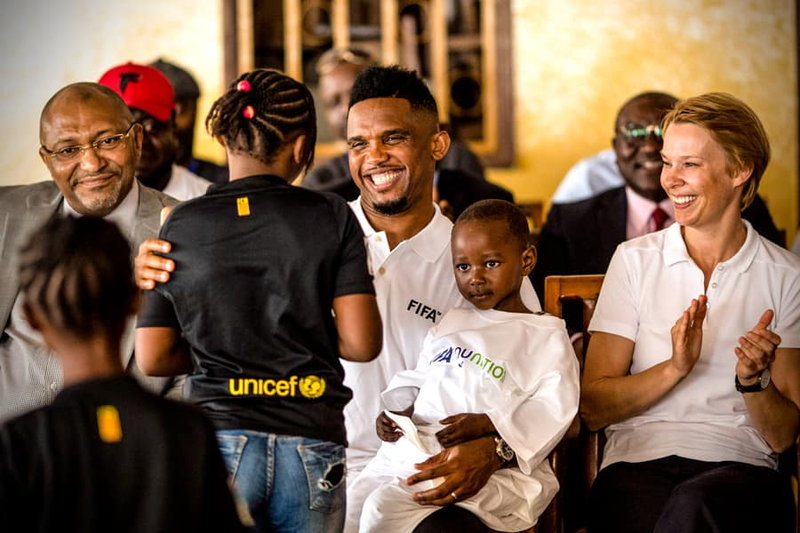 Cameroonian football legend Samuel Eto'o has visited a school in his native country where he engaged the children in some sporting activities. Children and staffs in the school were seen in joyous mood to see the former Barcelona star in their premises. Samuel Eto'o took the children to the football pitch where he taught them some basic football skills. The 38-year-old ex African player of the year also delivered a lecture in the school where he explained his career in football. Eto'o was regarded by pundits as one of the best strikers in the world and he is one of the greatest African players of all time considering his achievements in football. He won the African Player of the Year award on a record four times in 2003, 2004, 2005, and 2010. Samuel Eto'o currently plays a striker for Qatar SC and has also played for clubs like Real Madrid, Chelsea, Everton and Inter Milan. Previously, Legit.ng had reported how Cameroon legend Samuel Eto'o believes African coaches are treated as second class citizens in spite of their rich qualifications and experiences. The former Barcelona, Inter Milan and Chelsea striker claims that (African coaches) have chances of securing top managerial jobs in Europe are limited owing to lack of confidence. Eto'o, who won four African player of the year awards during his active football career confirm some black players are skeptical of going into coaching because of this major reason.